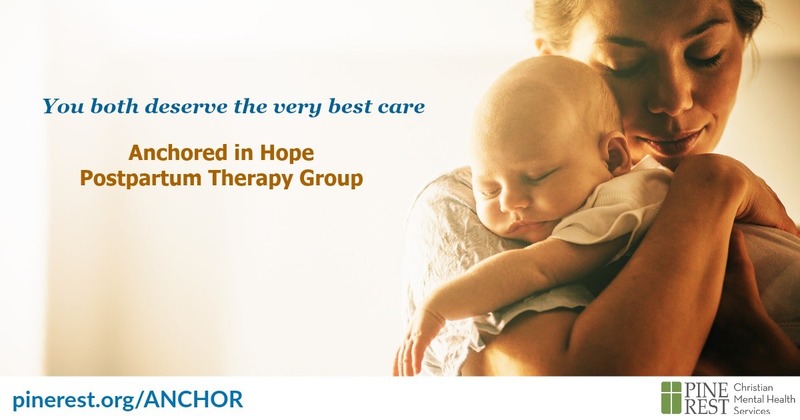 The Anchored in Hope postpartum therapy group is designed for women who want to explore the transition to motherhood and other life issues at a deeper level. In a safe and supportive environment, women learn and share strategies for enhancing their sense of well-being and problem-solving abilities in a therapeutic setting. Topics covered include self-esteem, self-care, relationships, coping skills, building a healthy support network and feelings of depression and anxiety. This group meets once a week for eight consecutive weeks, with various start dates throughout the year. Scroll down for upcoming dates. Group therapy is a covered service for most insurance providers. Financial assistance may be available for those who qualify. Please view our printer-friendly Anchored in Hope Postpartum Group flyer for more information. Registration is required. Call 269.910.7327. This group provides therapy, education and support for moms who are struggling with sleep issues, feeling overwhelmed, feeling isolated or alone, having increased anxiety, feeling guilt, sadness or irritability during the postpartum period. Our free and confidential HOPElines can connect you with help and resources. Everyone…moms, partners, parents, siblings, friends, physicians…are welcome! Toll-free and confidential. Calls returned within 1 business day.